Minister for Children Katherine Zappone has said there is a need for a truth-telling process for victims and survivors of institutional abuse. Ms Zappone was speaking at a conference in the US which is discussing ways of achieving justice for those who have suffered abuses. She said Ireland is transitioning from a history of gender injustice, which has been there from the very foundation of the State. The minister said that there is a need for a truth recovery or truth-telling process with victims and survivors of institutional abuse at its core. She added: "We need a truth recovery or truth telling process with victims and survivors at its core. "Such an approach will need to encompass the breadth and depth of their experiences. It would lead to the recording and acknowledging of what is our shared national truth". She acknowledged that there may be legal challenges when designing such a commission or vehicle, but said these should not be allowed to distract the Government from its goal. Campaigners say that while the state has offered apologies and financial payments to some survivors, it needs to go further in areas such as access to documents and records. Today's event is focusing on the Irish state's response to historical abuses at institutions such as the Magdalene Laundries and mother-and-baby homes. It is also examining the impact of forced adoptions. Survivors, activists and researchers are gathering here to tell their stories. 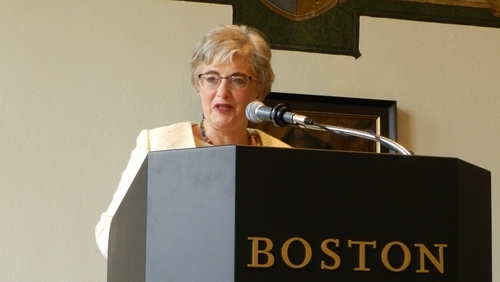 Ms Zappone said that making a tangible and real transition needed to be a shared aspiration. "It is a complex task, but one which is necessary," she said.